Spring is on its way! 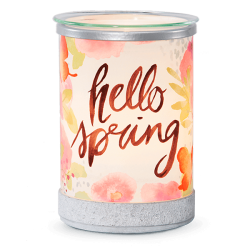 And this warmer will help you roll out the red carpet with watercolor-inspired artwork and a serene, sunny glow. If sunshine had a scent it would be this burst of Italian bergamot, raspberry jam and cedarwood.